The IMM Global Executive MBA Program's lead partner school, Purdue University, provides lifelong learning opportunities for professionals across the globe via our open enrollment programs. These professional development programs are taught by top faculty and offer practical management training in subjects including Leadership, Operations, Strategy, Problem Solving and more. The on-campus sessions are held at Purdue University in West Lafayette, Indiana, U.S., a magnificent campus celebrating its 150th anniversary in 2019. Future programs currently under development include sessions on Social Media; Coaching and Mentoring; Managing Teams and more. Purdue University's Krannert School of Management creates custom programs to meet the unique needs of an organization. A custom program reflects your company’s priorities, vision, and philosophy in an environment where participants can discuss issues openly. We look forward to answering your questions about our programs, and finding -- or creating -- one that serves your needs. 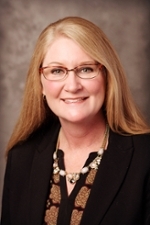 Reach out to Sally Meech, Director of Business Development, at sally@purdue.edu or +1-765-494-7801 for more. Consider a Purdue professional development program a chance to "test drive" an Executive MBA program - and benefit from a tuition reduction toward your Purdue University Executive MBA. Complete one of our professional development programs, and within 24 months also enroll in Purdue's Executive MBA or IMM Global EMBA, and we will deduct the amount you paid for the non-degree program from the cost of the degree program. Learn more about Purdue University's custom and professional development programs by contacting Sally Meech, Director of Business Development, at sally@purdue.edu or +1-765-494-7801. Let's find the professional development program that best fits your career goals. Submit this short form and we will connect with you soon.